In the historic market town of Godalming, in lovely, leafy Surrey, is a small but perfectly formed new development of just 32 exclusive new homes. Located within a 50 minute train commute of London, and in a much sought-after school catchment area, College Green has proven a popular choice with home hunters yearning for rural living with capital connections - and just a handful of properties are available. 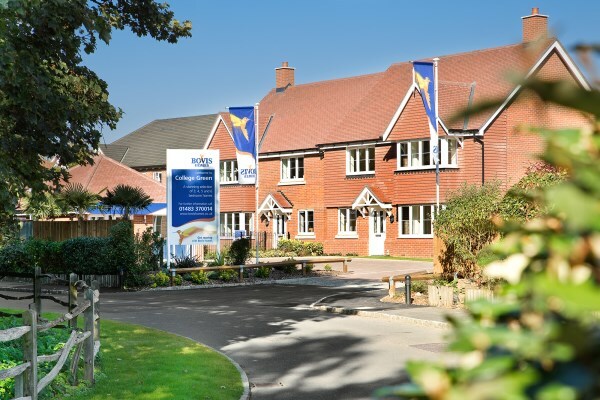 Many have benefited from Bovis Homes very own part exchange scheme, which can take the stress out of moving - and save thousands on estate agent fees. And by reserving any of the remaining plots now, you will save thousands more as Bovis Homes will pay your stamp duty in full*! *Stamp duty paid offer not available for Buy to let mortgages. Terms and conditions apply.